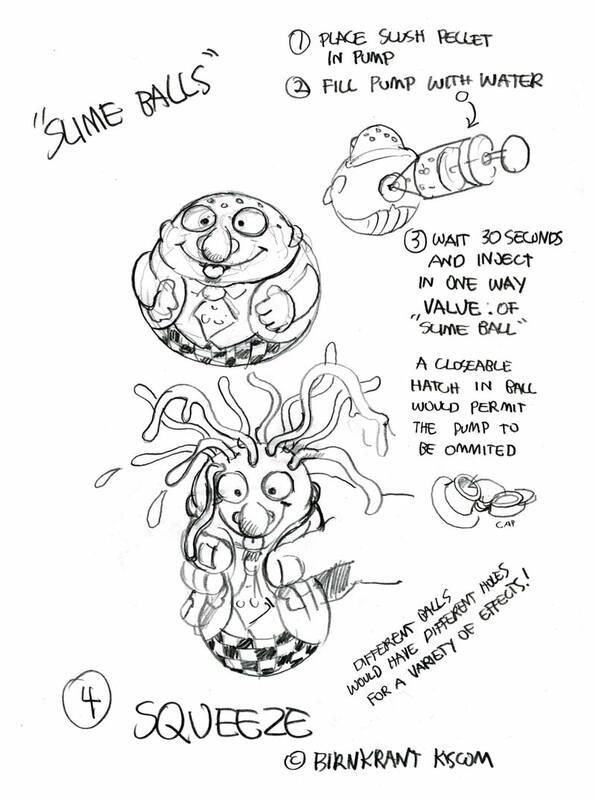 “ALIEN SURPRISE” was a very minor concept. It consisted of little more than the single quickly rendered board below. The real “surprise” was the fact that it sold! According to KISCOM’s product book, a small company called, “Creata” bought it. They offered us a three thousand dollar advance and guarantee, and a 5% royalty, FOB. The year was 1993. The Concept was simple, a variation on the Trash Bag Bunch. The Meteorites, or Asteroids, popped open when thrown, to reveal one or more soft wiggly Aliens inside. 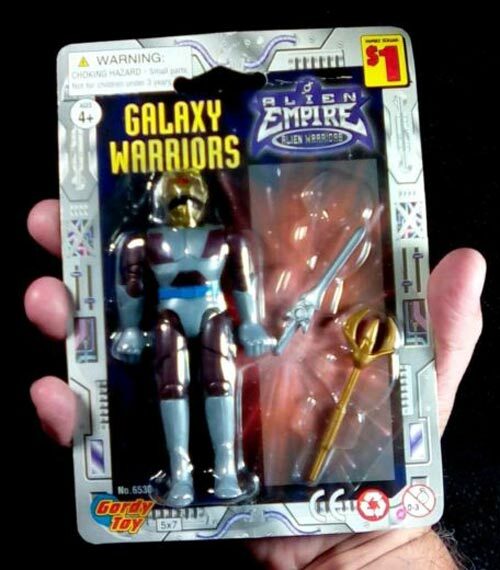 They were collectible. This board has been kicking around my studio for years. I finally decided to include it here, and then, pack it away. Tucked under the cover sheet were a number of concepts that are connected, somewhat remotely. I will also add them here, to fill out the page. The first is similar to “Melt Downs,” a project we did later. Here, the Meteorite melts down to reveal an alien inside. 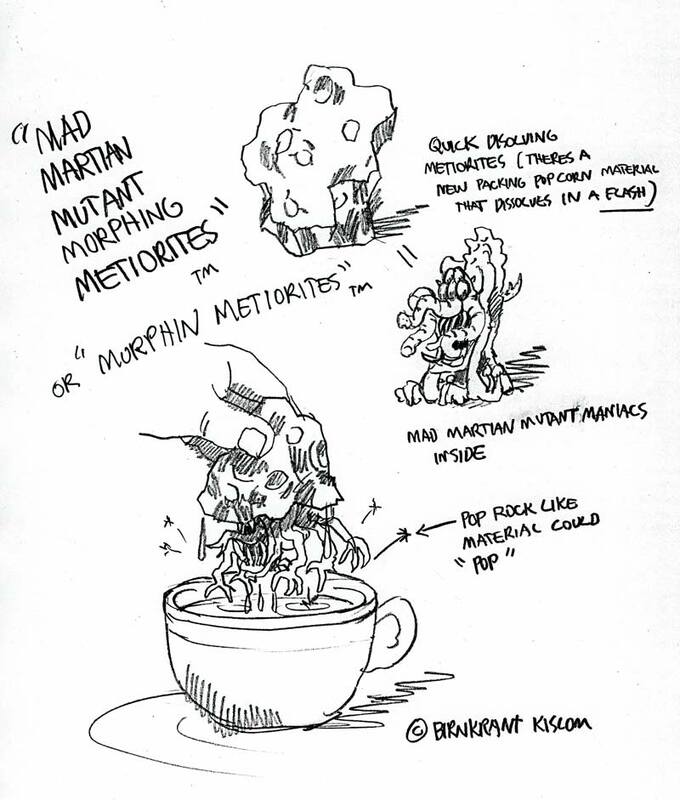 “MAD MARTIAN MUTANT MORPHING METEORITES!” How’s that for a name? These were the days when nasty gooey things were king, and all sorts of hygienic manufactured harmless nastiness ruled the toy industry. Something called slime was popular. Slime tended to smell nice. 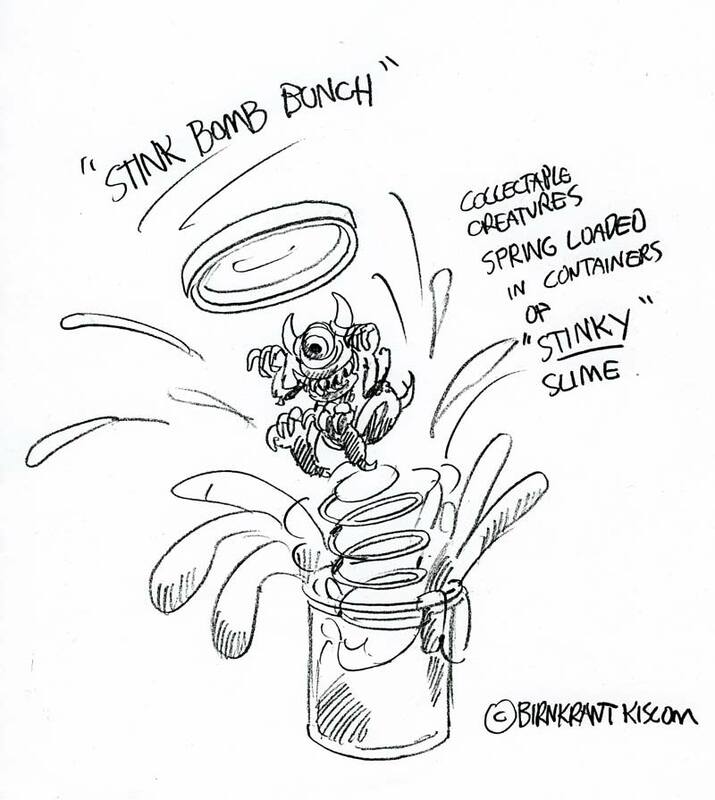 Here, we proposed adding a revolting odor, and a spring to catapults the slime soaked creature into the users face. 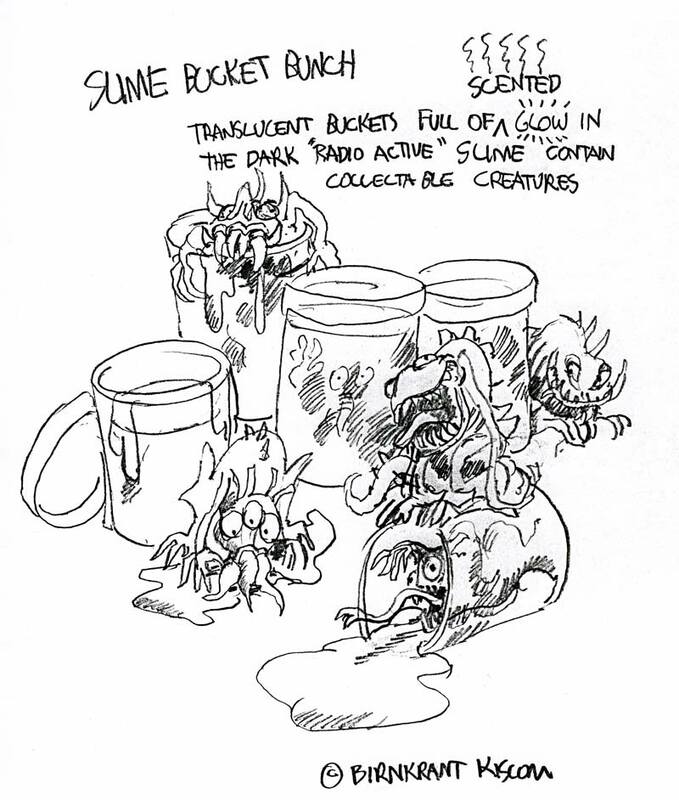 Sinking deeper into the mire, we carried the concept one step farther, by adding not only a bad odor, but glow in the dark as well, proclaiming that the slime inside was Radio Active! In an attempt to make a product that would be more educationally uplifting, because it was scientific, we suggested that this series of Pre-Jurassic Predators had become encased in amber, a million years ago. The amber would be just cloudy enough to offer a tantalizing hint of the horrible creature encased inside. Fortunately, the amber would be water soluble. 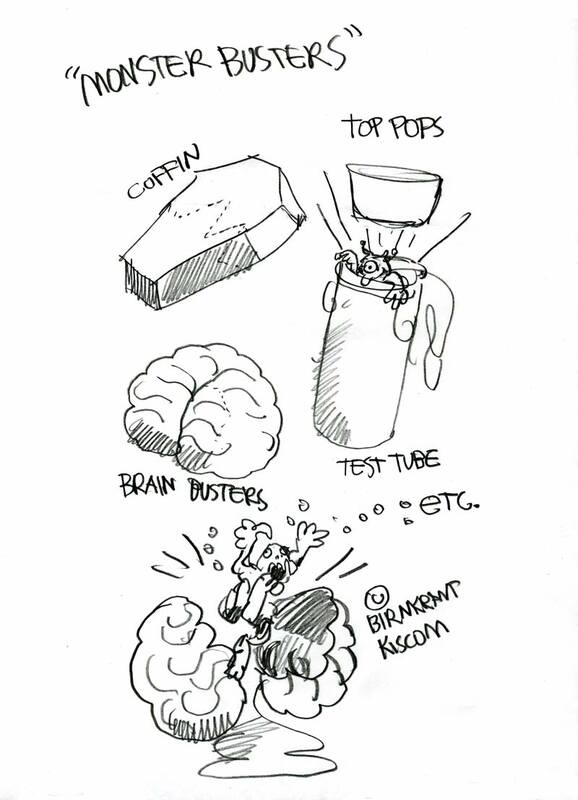 “Monster Busters” was a lukewarm attempt to suggest a series of anything, from test tubes to brains, with a monster hiding inside. Clearly, my heart wasn’t in this concept at the time. The Slush Bunch suggest that perhaps there could be a tablet that turned to slime, when water was added. Then, the creature throws up! What Fun! Last of all, is Slime Balls. These could come in a variety of configurations. 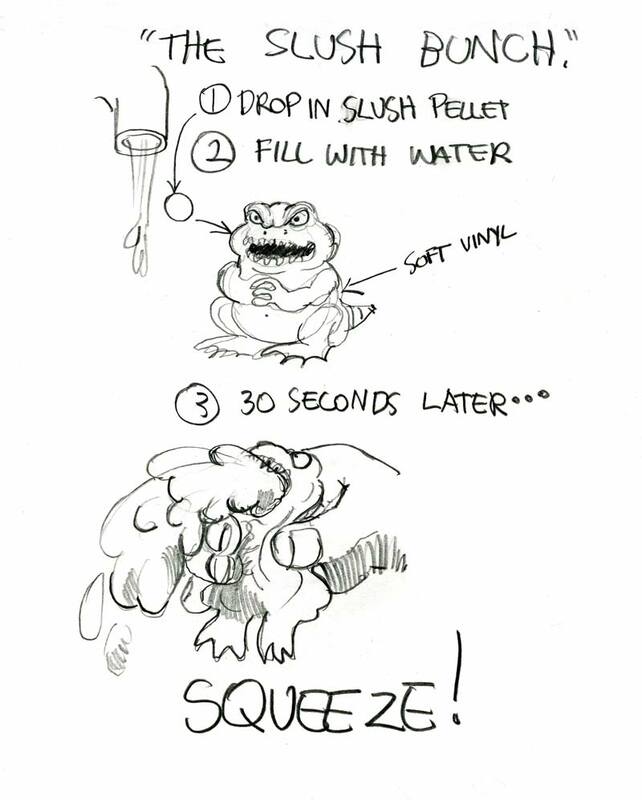 Then, you fill them up with slime and squeeze it out! The possibilities for these to be disgusting were infinate. 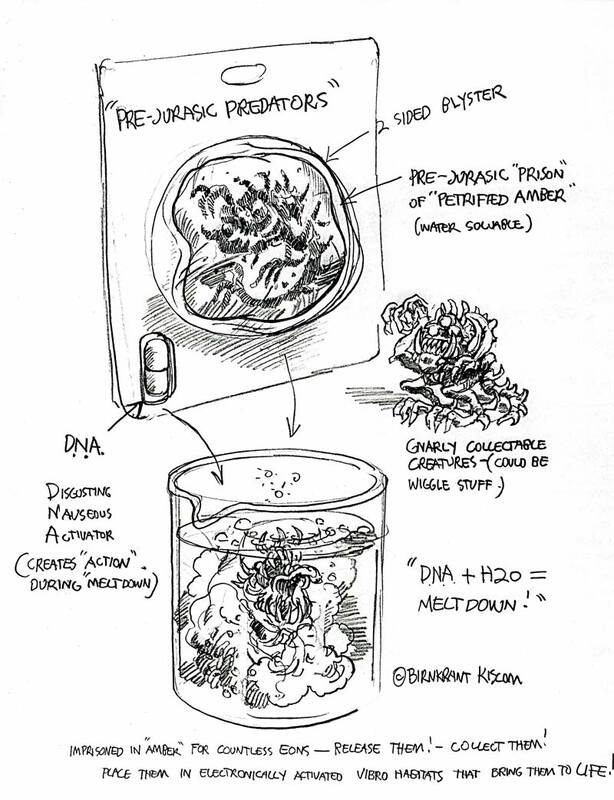 Finally, this is a snapshot that was attached to the Alien Surprise page in my partners concept book. It shows what Creata made. 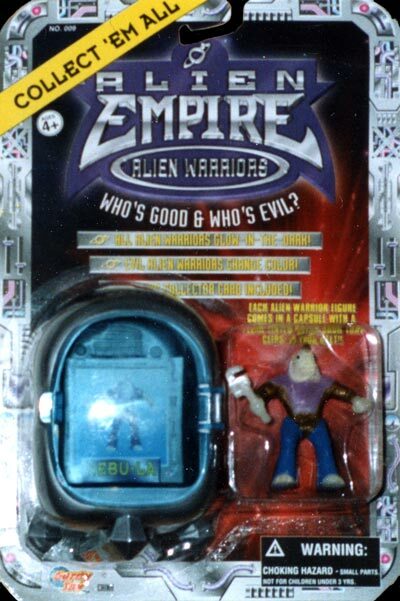 They came up with the name “Alien Empire.” and I have to say, what they did, in the end, bears little resemblance to what we sold them in the beginning. It’s hard to believe that this is what the concept became. I found some additional photos on the internet that indicate how they grew the line. 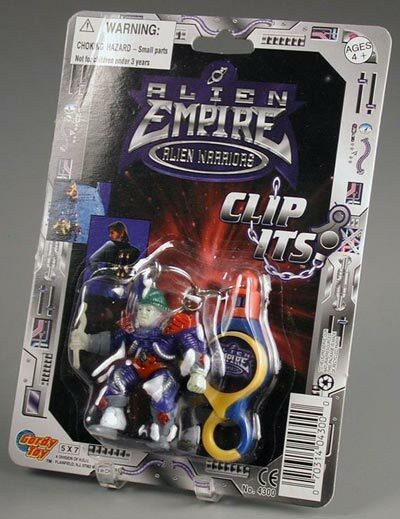 I don’t know how how well the Alien Empire sold. In fact, if I had not discovered the page in KISCOM’s book, I would have never known that it was made. One lesson that I learned the hard way, working in the toy industry was the simple fact that there is no guarantee that a complex project one invests weeks of work on will succeed. While other concepts that consist of no more than a sketch might become a spectacular success. 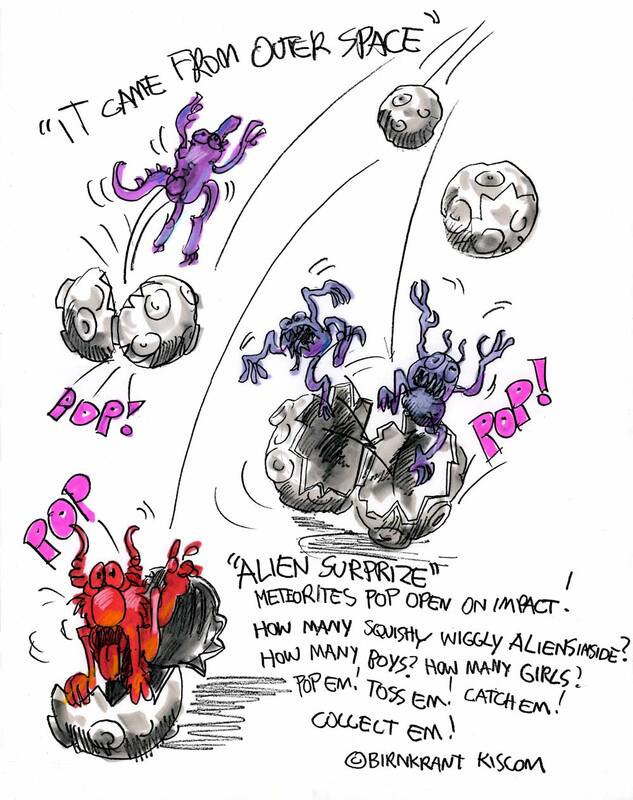 Not that this idea with the juvenile title, Alien Surprise, is a valid illustration of that concept, I learned to jot every small idea down, nevertheless. It turned out to be worth the time. Selling it was nice, a pleasant (alien) surprise.